A summer breeze may feel wonderful as it wafts across your face, but your skin may not agree that summer is a great time of year. As you spend more time outdoors, the summer sun takes the moisture out of your skin, leaving it dry and more vulnerable to rashes, allergies and other skin problems. Applying body lotion is fine, but it can leave your skin feeling sticky and greasy. You certainly don’t want more of that in the summer heat. 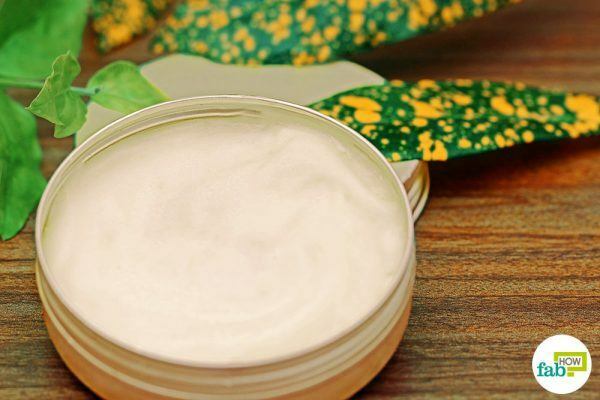 The perfect answer to summer skin problems is body butter. 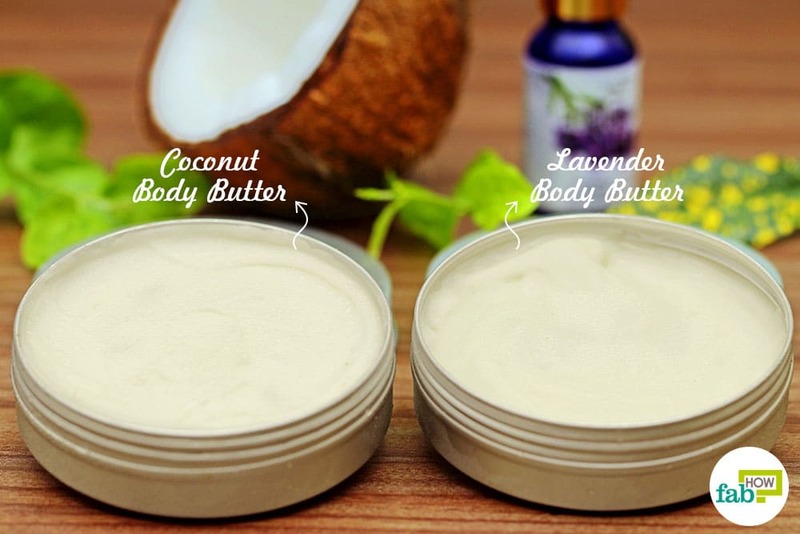 Body butter is a skin moisturizer that is a little thicker than lotions but is very light and non-greasy, making it perfect for your skin during the summer. 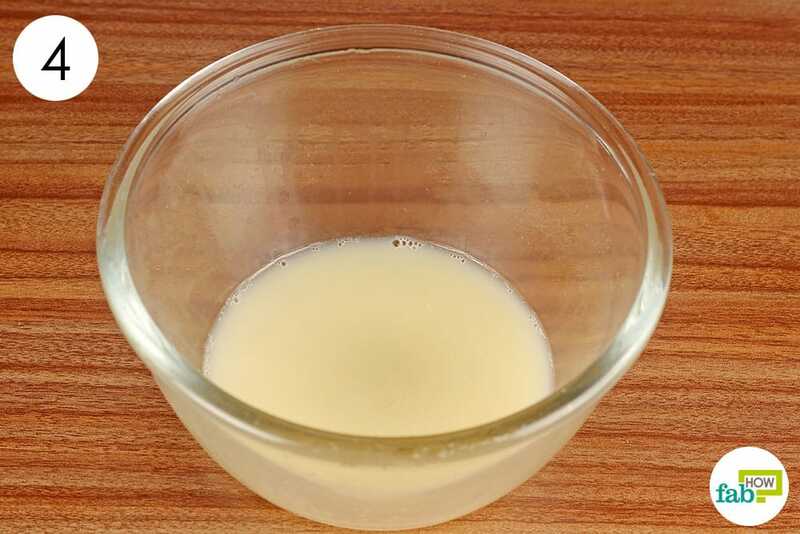 In fact, it is extra effective at rejuvenating dry skin. 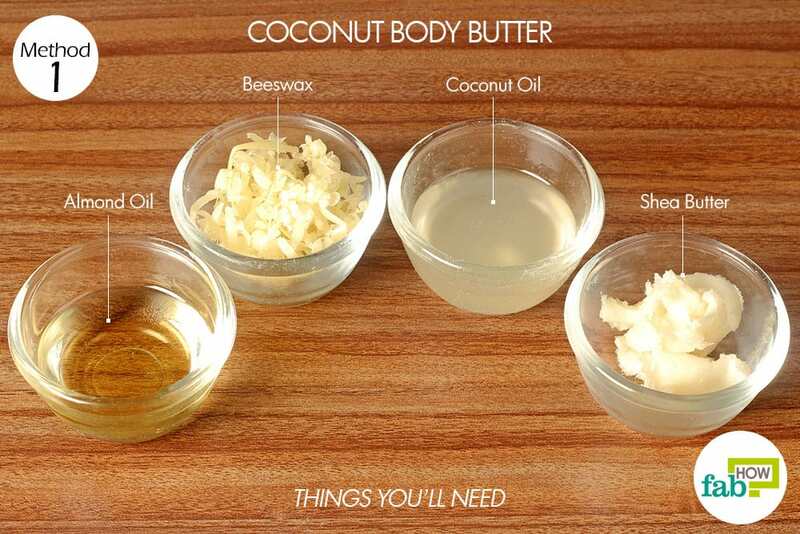 You can use it all over your body or on specific areas that are prone to dryness like your elbows and hands.Apart from hydrating your skin, body butter also protects and soothes sunburns. 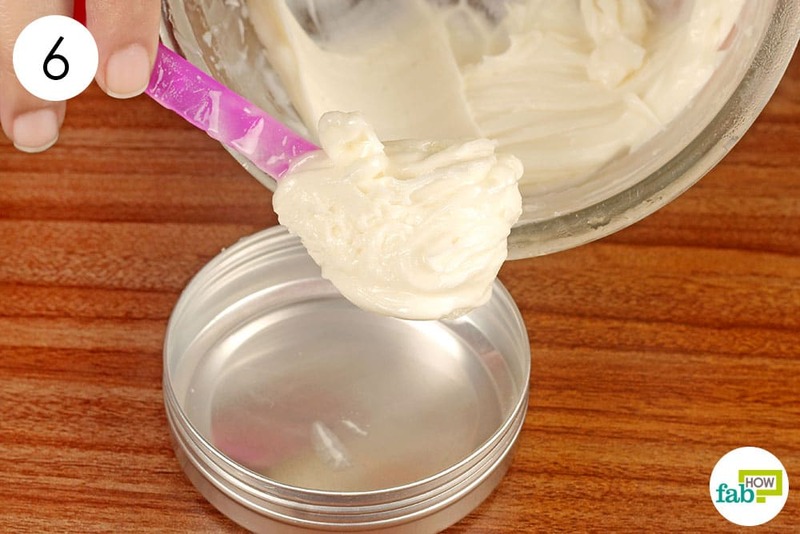 Making body butter at home is very easy and it has a shelf life of 8 to 10 months. Below are two easy recipes to make body butter that will give your dry skin the nourishment it needs and deserves. This body butter uses coconut oil and almond oil to moisturize and nourish your skin. On the sweet side, it also makes you smell like cookies. In addition to the moisturizing factor, the shea butter in the recipe helps heal damaged skin and can treat many skin problems, such as a sunburn, eczema, wrinkles and blemishes. The beeswax in this body butter acts as a barrier between your skin and the harsh weather conditions you face every day, giving your dry skin the protection it needs. 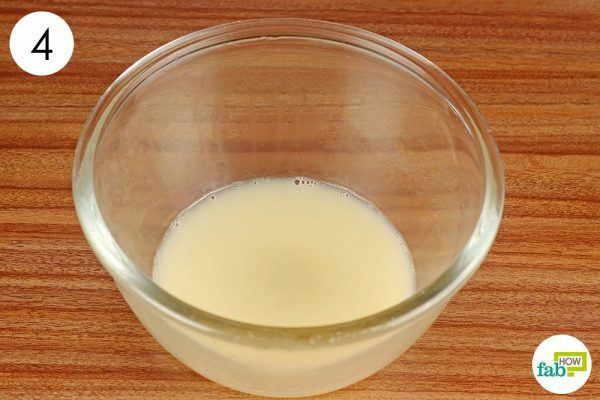 Place a double boiler on the stove or gas burner on low heat. 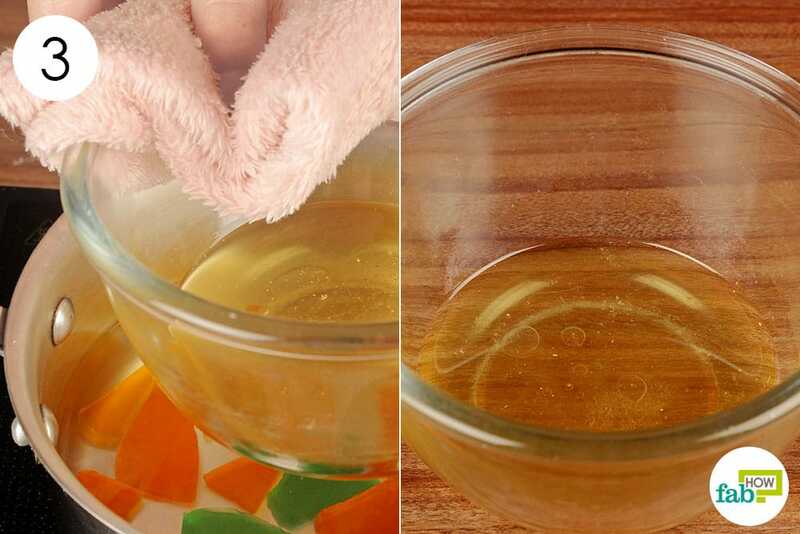 If you don’t have one, you can create a makeshift double boiler by placing a glass bowl inside a pot (as shown in these pictures). Start by putting 1 tablespoon of beeswax in the bowl. Add 1 tablespoon of shea butter to it. Let the shea butter and beeswax melt. 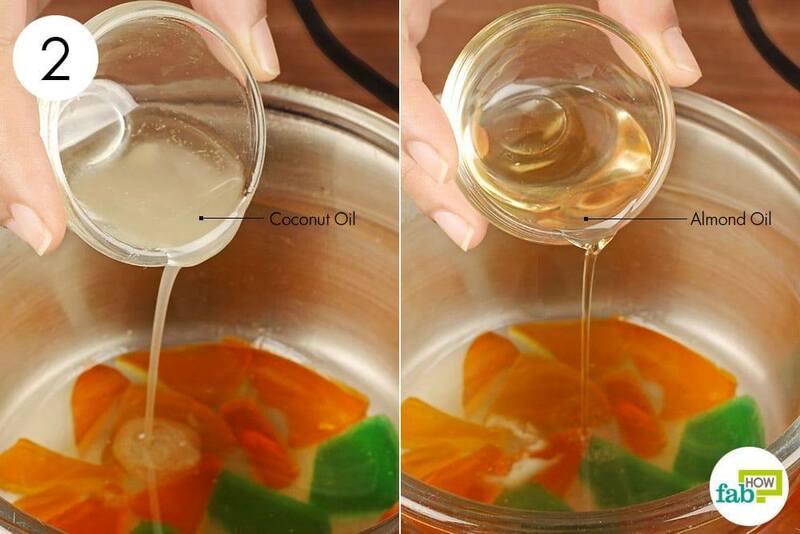 After the beeswax and shea butter melts, add 1 tablespoon each of coconut oil and almond oil to it. Let the ingredients heat for about 1 minute, so that they are thoroughly mixed. Take the inside bowl out of the boiling pot. Be careful while handling the bowl, as it will be hot. Use a cloth or hot pad to take it out. Optionally, you can mix in a few drops of your favorite essential oil to give your body butter a pleasing fragrance. 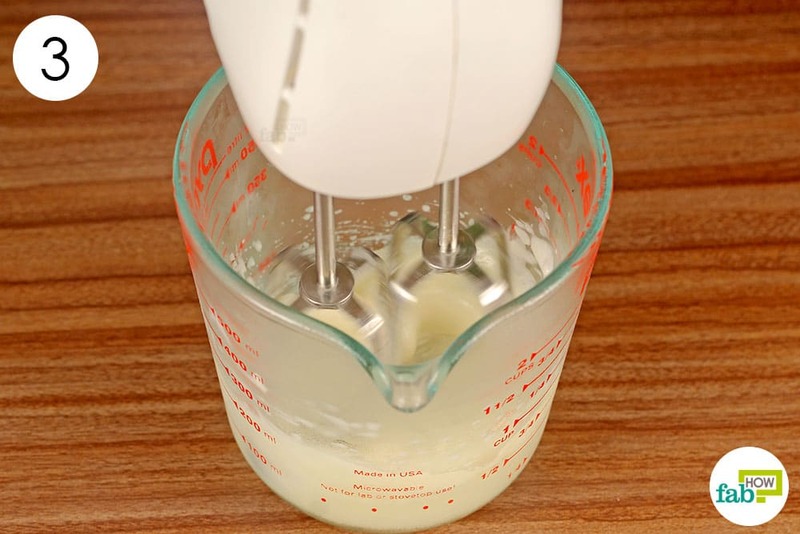 Beat the mixture with an electric mixer on low speed until the ingredients are completely blended. 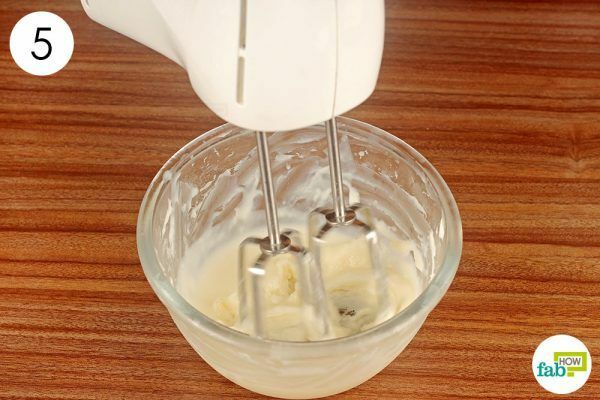 Then, increase the speed and whip for 5 minutes until it’s creamy in texture. Store the creamy body butter in a container. Use it every day to keep your skin deeply moisturized during hot summer days. Lavender body butter uses lavender essential oil, which helps soothe your skin as well as your mind (much needed in this exhausting summer heat). 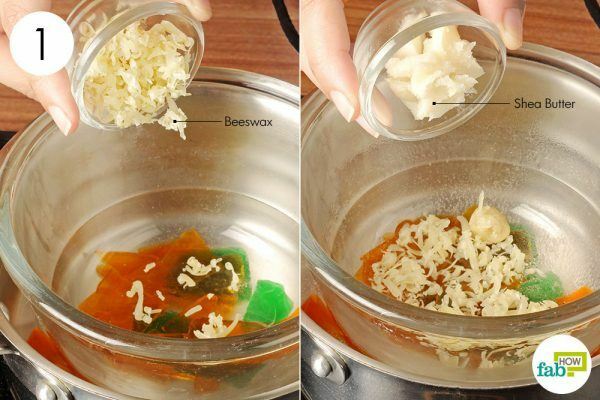 The beeswax used in the recipe contains anti-inflammatory properties, which help guard your skin against sunburns and wounds. 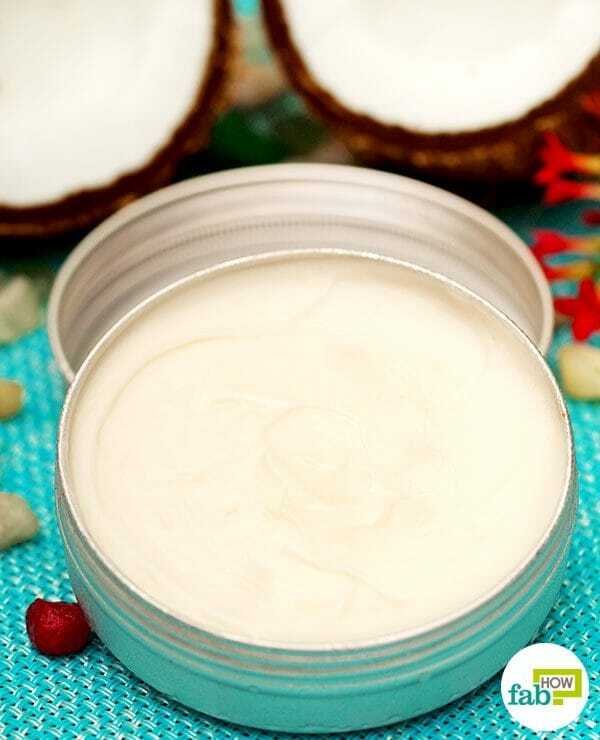 The coconut oil and shea butter in the body butter are great moisturizers and also have antifungal and antibacterial properties, which protect your skin from infections. 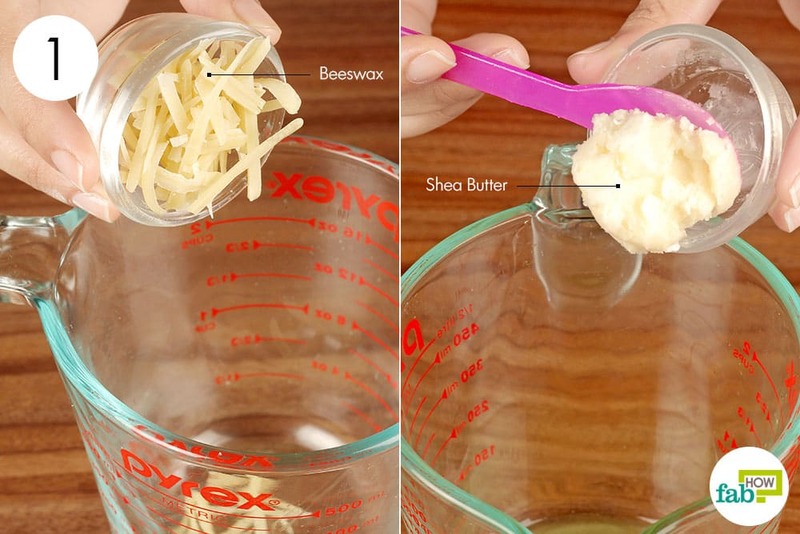 Put 2 tablespoons of beeswax in a glass mixing bowl. 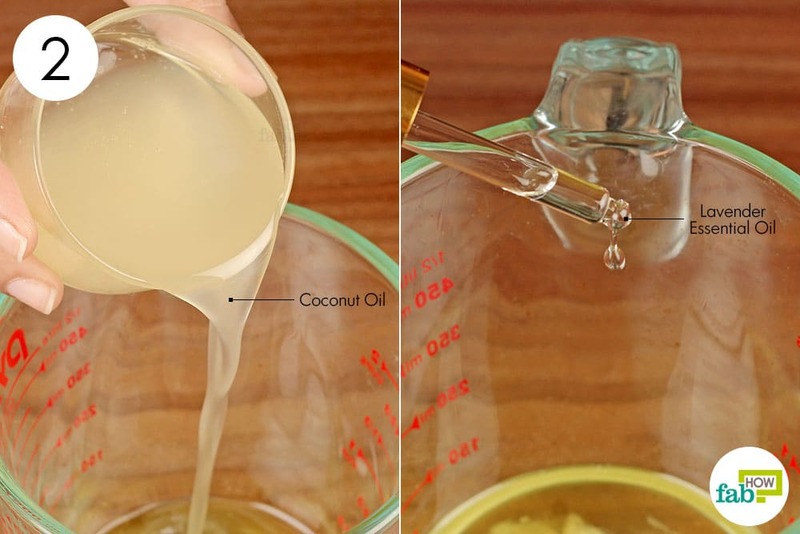 Pour in ⅓ cup of coconut oil. Add 14 or 15 drops of lavender essential oil as well. Use an electric mixer to blend all the ingredients. Start on low speed and gradually increase the speed until it’s whipped. 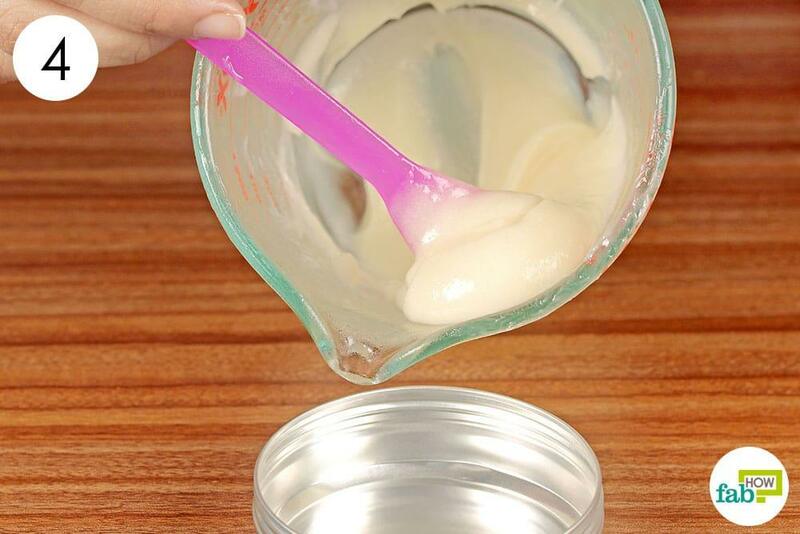 Spoon the body butter into a container. Use it every day to keep your skin hydrated at all times. 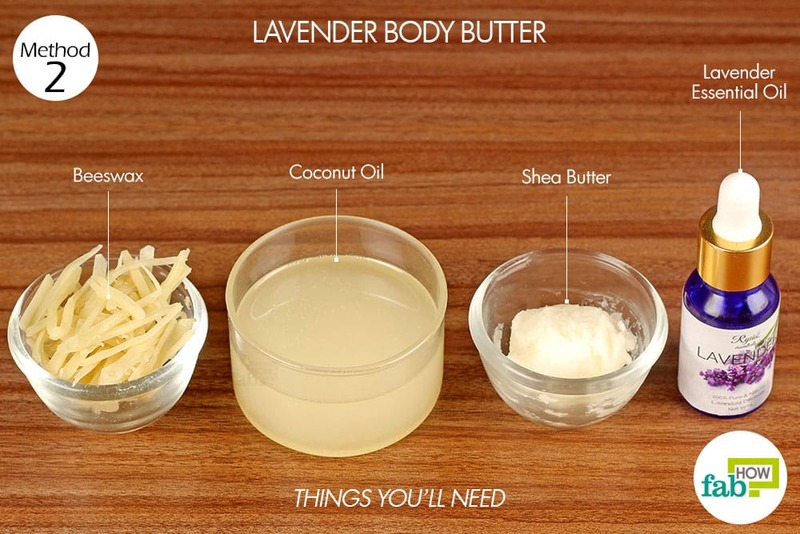 You can add different essential oils to give your body butter different scents. Body butters are also good for babies and people with sensitive skin. They are a great idea for a gift for family and friends. Use different essential oils to customize them per their liking. The amount of essential oil drops to add is not an exact science. Start with 14 or 15 drops and increase it if you want more fragrance.